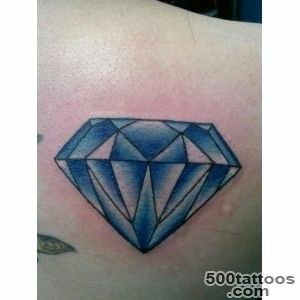 Since ancient times, diamonds were valued for its brilliant beauty , hardness and rarity . 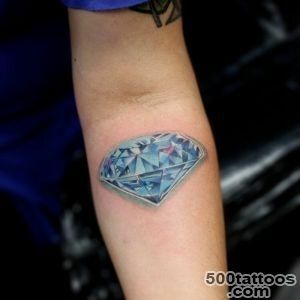 The faceted diamond - a diamond - has become an indispensable companion of luxury and property of wealthy persons . 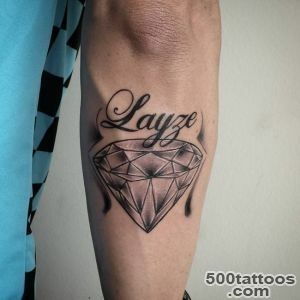 Jewelers loved him for his noble light and the play of light . 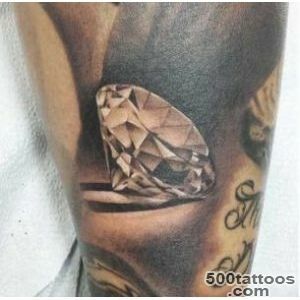 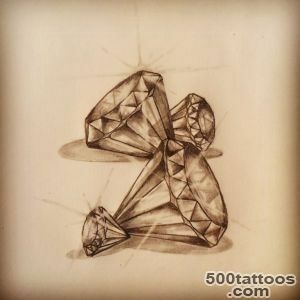 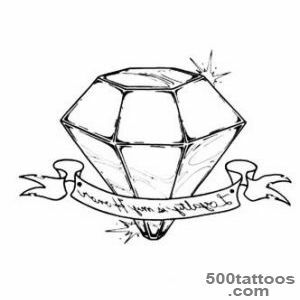 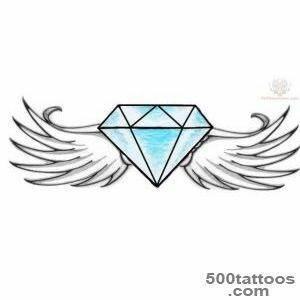 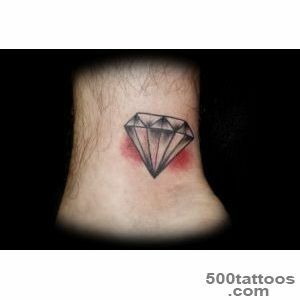 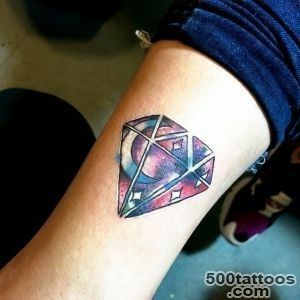 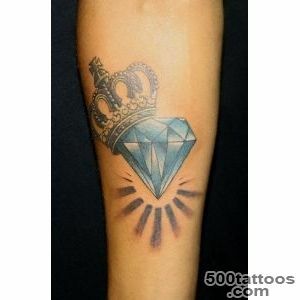 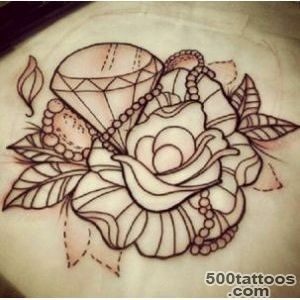 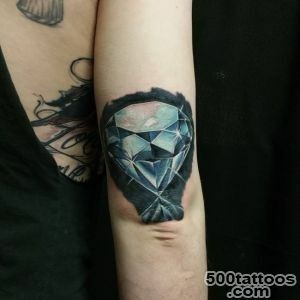 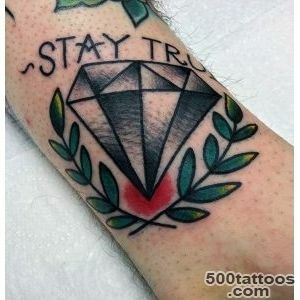 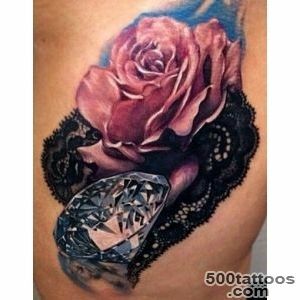 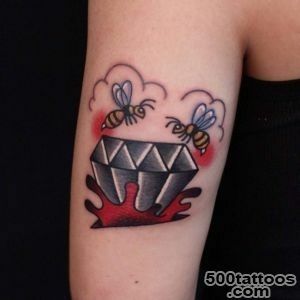 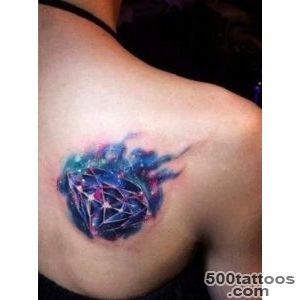 Stone is literally iridescent in the sunlight or artificial light.Sketch of tattoo diamond looks great in color , but it is often simplistically portrayed , and only with the use of only one black. 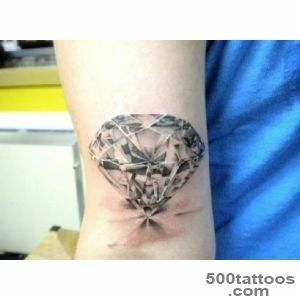 The nobility and the extraordinary properties of diamond have prompted people to represent it on the body in the form of a tattoo . 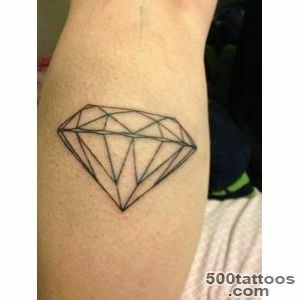 Tattoo diamond indicates strength of character , extraordinary willpower , high social status ,courage , and perhaps of inaccessibility. 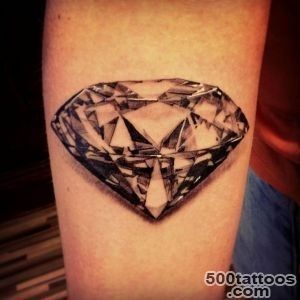 The deep symbolism of a diamond takes us to ancient times . 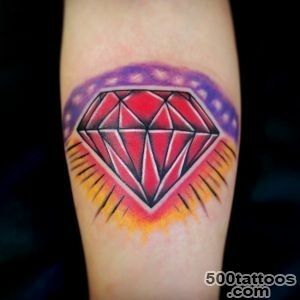 It is believed that the first stone was found in the 4th century BC , in India . 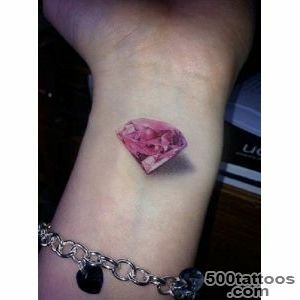 Even then, people noticed his extraordinary crystal clear and at the same extraordinary hardness. 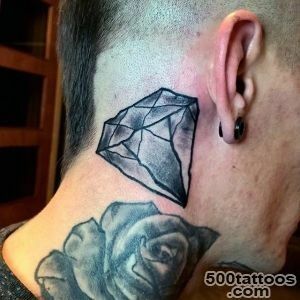 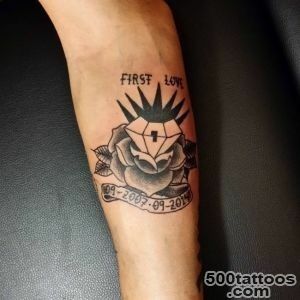 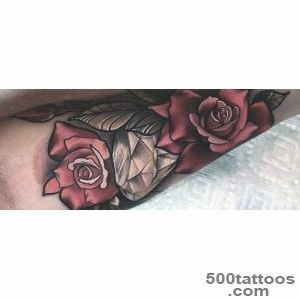 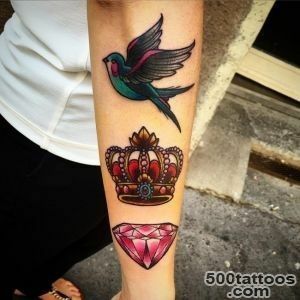 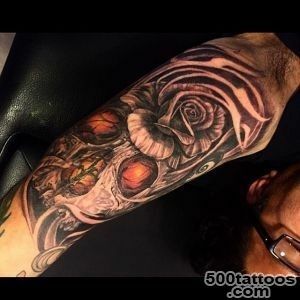 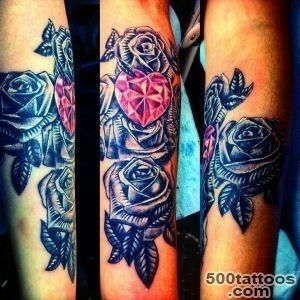 It is these qualities in man emphasizes the diamond tattoo .From time immemorial it is believed that the owner of the diamond will be strong in any , even the most terrible battle. 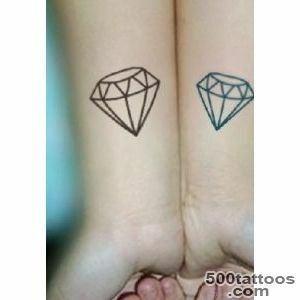 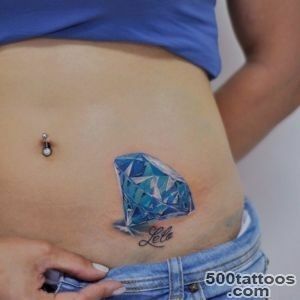 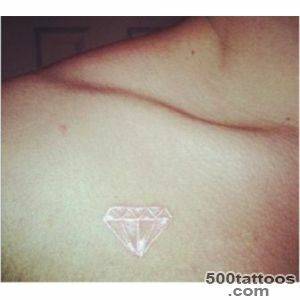 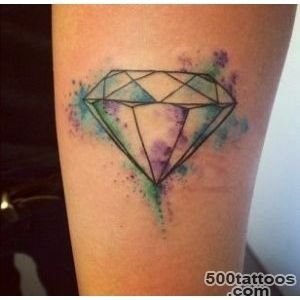 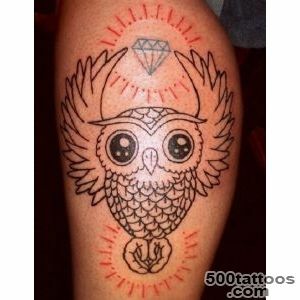 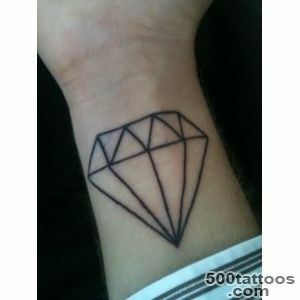 For this value of the diamond tattoo of her love and is often chosen by men . 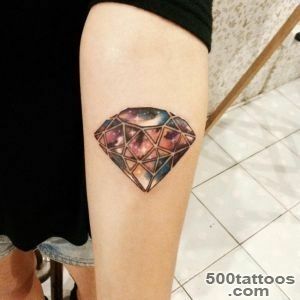 But the ancient Persians and Turks believed that if a long look at the stone , then get rid of anger and irritability , from gloomy thoughts and longing .The play of light inside the diamond is able to lift your mood and adjust in a positive way . 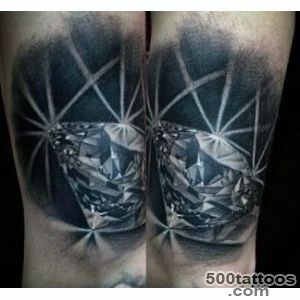 In India, the Buddha's throne made ​​from a variety of shining diamonds. 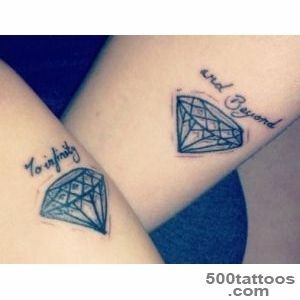 Him and to this day is revered as a symbol of constancy and faith , of infinity , as the center of the universe. 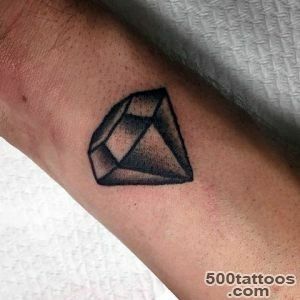 Hindus firmly believe that a diamond is able to heal many ailments ,Even during normal touch the skin of the patient . 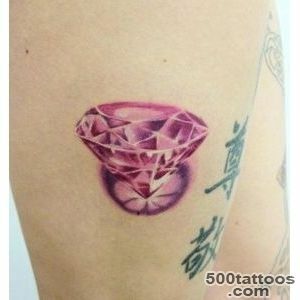 Moreover, in the Middle Ages it was an opinion about the high protective properties of the stone . 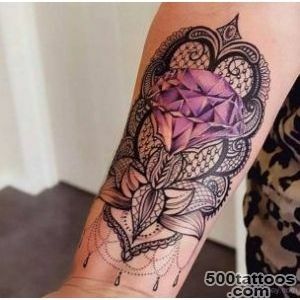 It was considered , inter alia , that it can protect its wearer from intoxication. 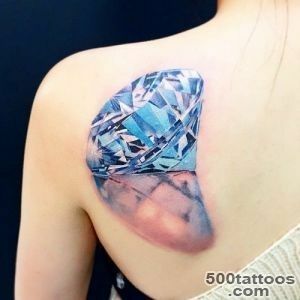 For this reason, Mary Stuart always carried diamonds .The value of a diamond tattoo is also incredible magical power of this stone . 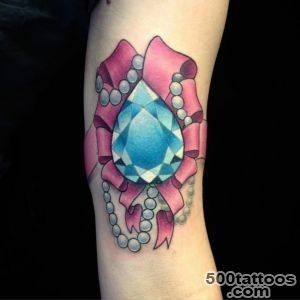 According to ancient beliefs , it not only heals all sorts of ailments , but also protects against the evil eye, damage , all misfortunes and deliberate evil. 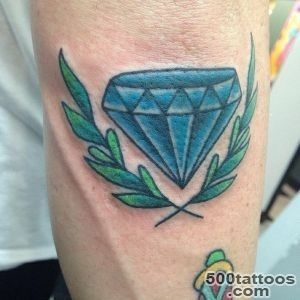 Reflection of this quality diamond found in Christianity . 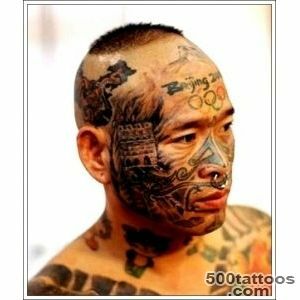 There is a whole legend ,that through it you can resist the devil himself . 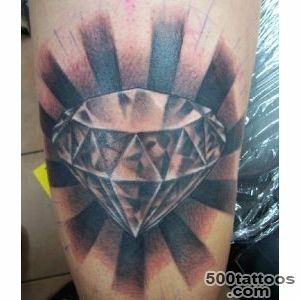 Satan can not endure the light emanating from the diamond or diamonds because of the evil forces he is like the radiance of the divine gaze . 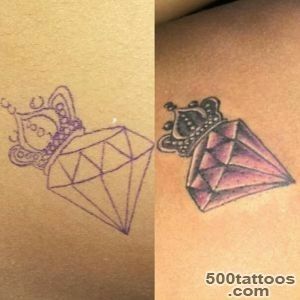 The symbolism and the uniqueness of the stone on the right make it a worthy ornament of both male and female body . 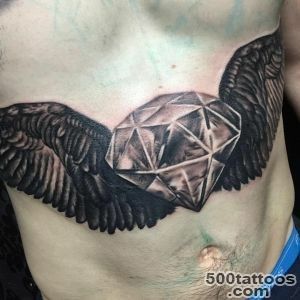 In addition to the hardness of impersonation ,courage and indomitable will - traditionally male qualities , the diamond also reflects innocence, purity, perfection of forms and lines - that can perfectly describe the feminine.